There are different kinds of parties for different kinds of occasions and a hen party is just one of them. First of all, what is a hen party? 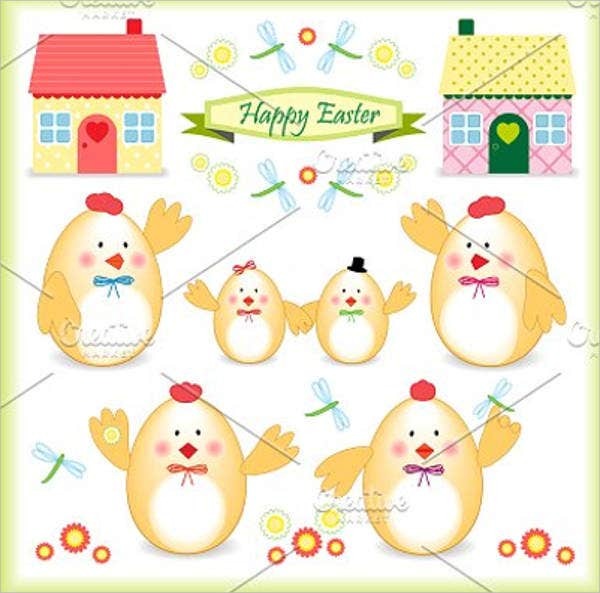 A hen party is generally a term for social gatherings specifically for females. It is the counterpart of what we call a stag party. 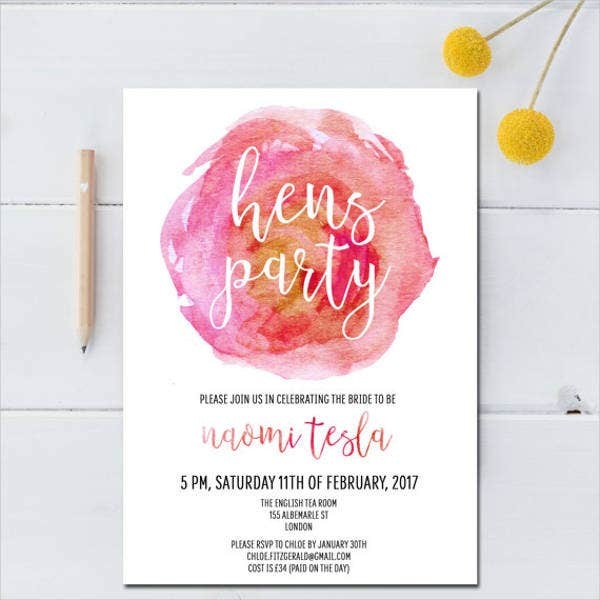 Every good party needs a good Invitation Template—and for the ladies who are about to wed, this calls for a celebration with your lovely girls! What makes a party great is having all your loved ones joining in the fun with you, and a well-made invitation can give you all that. Every girl dreams of having a family of her own and being with someone whom she can share all the hardships, wealth, and health. As you find your special person and you feel ready to tie the knot, for all the hard work you have gone through, for all the fun times you have missed, and for the future you are unsure of, marriage is one of the biggest steps you have to make in your life. 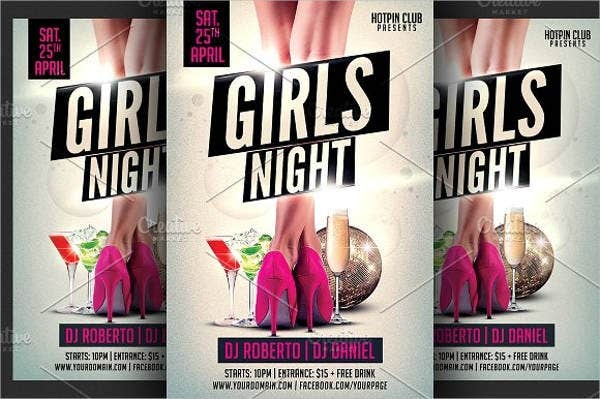 You are obliged to have that one special night with all your girlfriends before those big responsibilities start flying your way. What Is and for Whom? A hen party is a celebration where all the attendees are females. It is a term used not just for females who are about to wed but for parties that are organized specifically for females. A hen party is popularly known as a bachelorette party, mostly in the countries of Australia and New Zealand, whilst bachelorette party is a popular term used in the Americas and Canada. 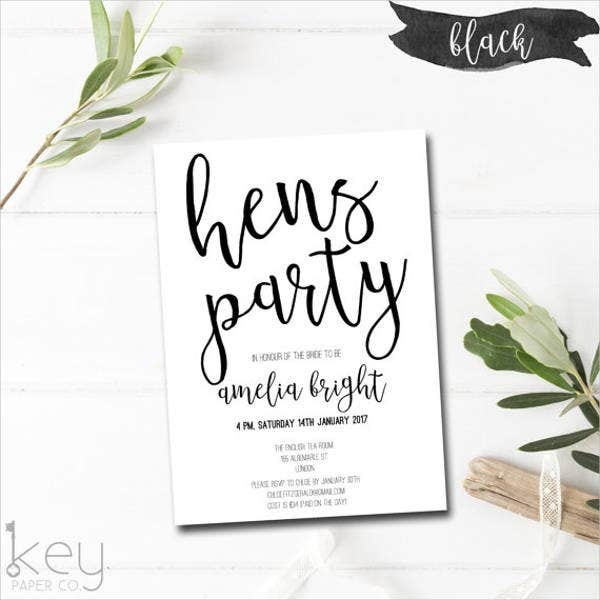 Even though the term is used to call events specifically for females, it has become popularly used for the ladies who are about to wed.
A hen’s party invitation is mostly used for ladies who are about to wed. 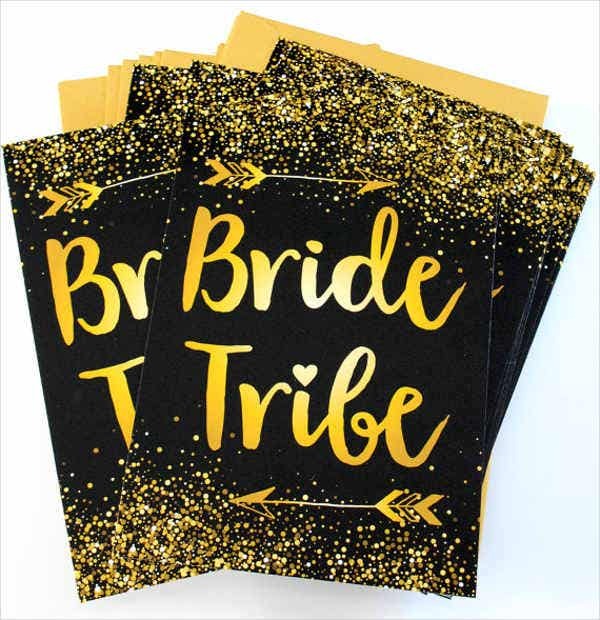 If you are the maid of honor, best friend of the bride-to-be, or someone who does events planning, these Party Invitation Templates are for you. 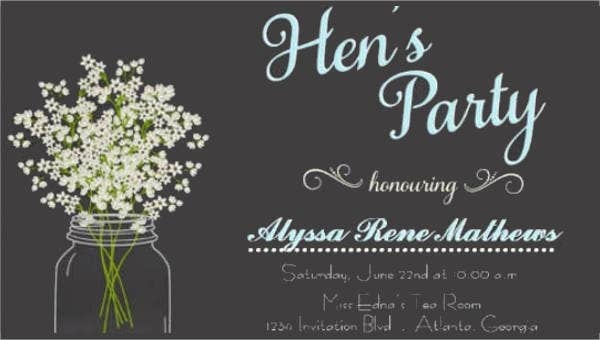 Take it into consideration that these invitations caters not just to brides-to-be but also for any specific female gathering parties. 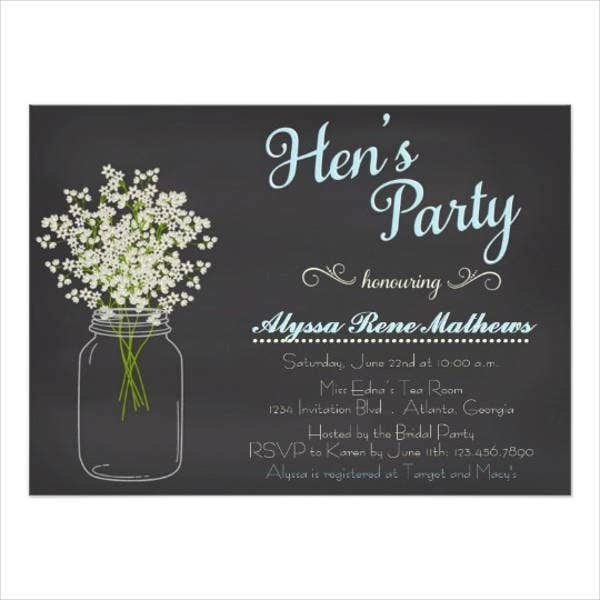 Check out more Bridal Shower Party Invitation for other invitation samples. Theme. 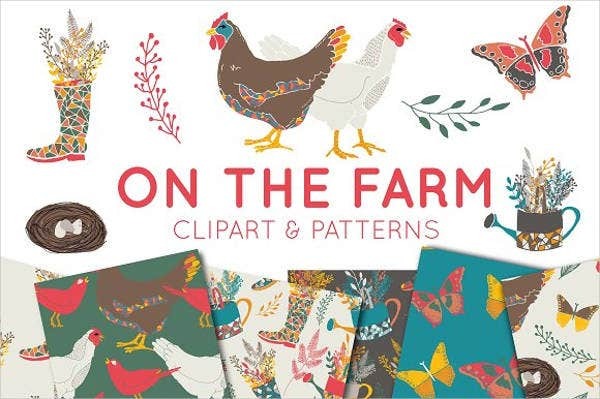 Your invitation’s theme should be tailored to after your event’s theme. The colors and fonts should be able to communicate to the receiver what kind of party your invitation is for. Greetings. The greeting allows the receiver to feel how much you want their presence in your party and it makes them feel how special they are to you. Content. Always indicate the details on the exact date, time, contact details, and venue of your party. Direction. An invitation with detailed direction is always a plus! Some people are bad with directions, so having a mini map at the back with detailed landmarks of your venue will allow your guests to come to your party conveniently. If you are still in need of guidance, this article provides samples that you can download for free. They come in PSD, EPS, and AI format, and you can use them as a reference material. 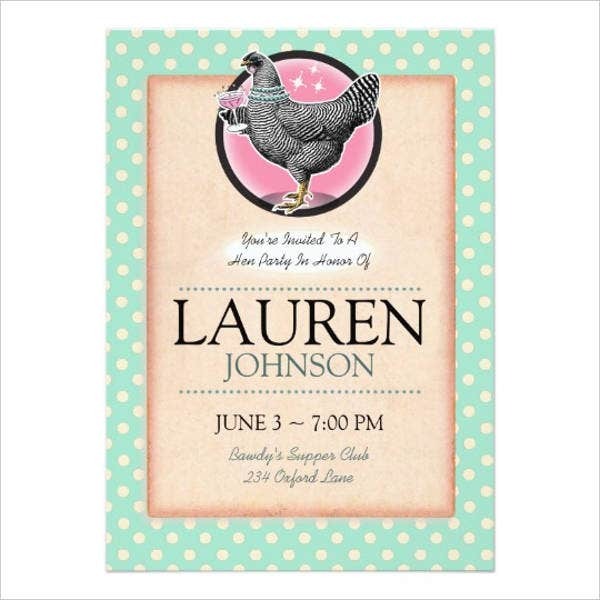 If you want to see other party invitation samples, check out these Dinner Party Invitations also found on our website.